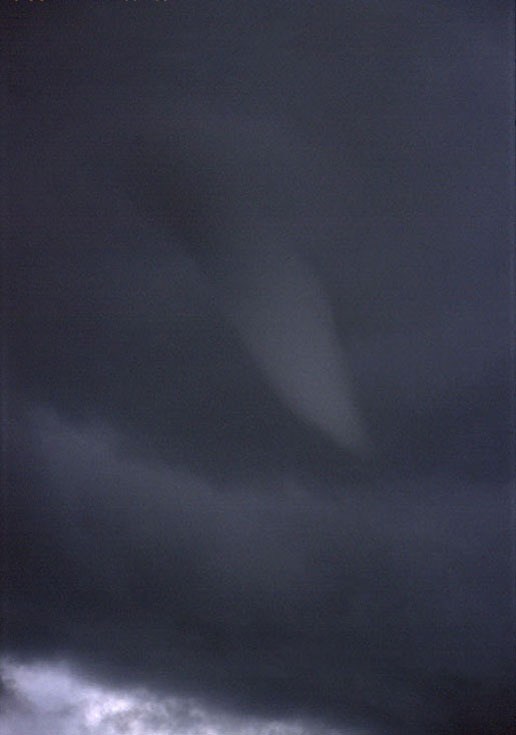 June 8, 2002, was a memorable day for Belgian weather photographer Peter VANCOILLIE. While on the look out for possible tornadoes near a place called Roesbrugge-Wulvertigem, close to the French border, Peter and his friend Olivier spotted four funnel clouds in a time span of approximately one hour and a half. The picture above is a close-up of the second cloud. It appeared at around 5:15 pm. The next picture in the gallery shows the same cloud a few minutes later. Photo taken using a Canon Eos 500 fitted with a Canon FA lens, and a Fuji Sensia 100 35 mm film.